So, Gouram makes its appearance and attaches itself to Godai's bike. I can't imagine how the parts can split up and attach itself onto a horse in the ancient times. Anyone with a good enough imagination would like to draw a picture of that? And Ichijou's mother appears on screen for the first time I believe. And she's sick! What will Ichijou do?! 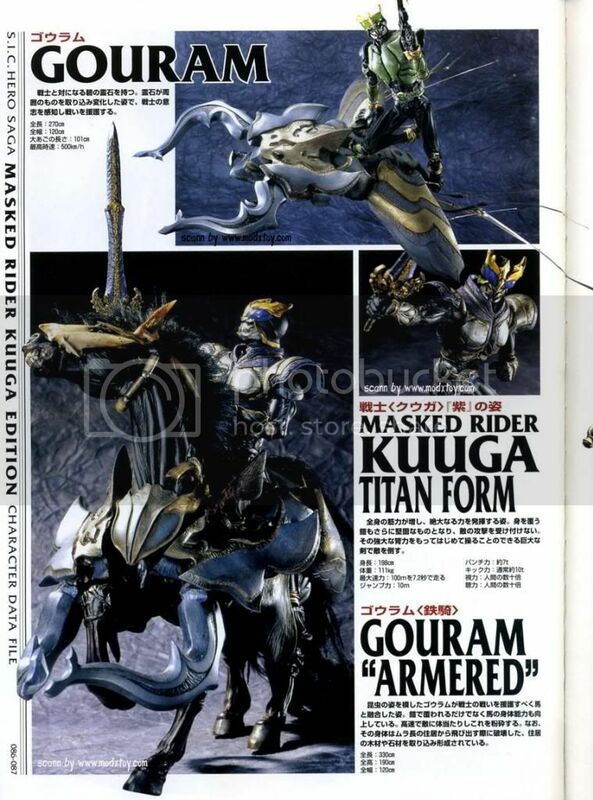 I think one of the Kuuga SICs have an image of what Gouram would look like on a horse. Of course, SICs are Super Imaginative, but it's something. 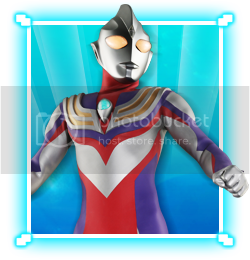 gh0stwrit3r wrote: I think one of the Kuuga SICs have an image of what Gouram would look like on a horse. Of course, SICs are Super Imaginative, but it's something. Looks like the horse armor works just fine on a horse. Of course an heavy armored horse (or bike) isn't supposed to jump around a lot, but those horns looks like they're there to grind into enemies...pretty brutal and straightforward. zeta_gundam wrote: I can't imagine how the parts can split up and attach itself onto a horse in the ancient times.